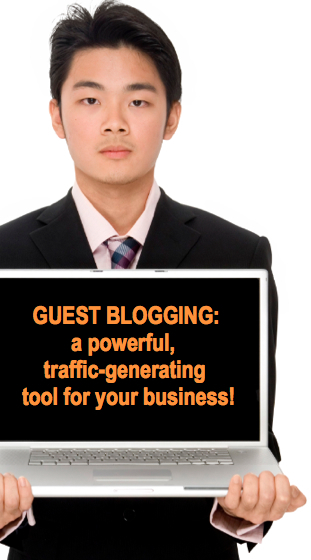 What is Guest Blogging & How Can I Use it to My Advantage? Guest blogging is the process of submitting your own articles to other sites in order to expand your brand’s visibility online and increase positive backlinks in an effort to boost traffic to your own site. Since all businesses are always looking for new, fresh content (and let’s be honest, most are also struggling with making the time to produce it regularly), many site’s are open to accepting and publishing quality content from guest bloggers. If the content is good, it helps their own site’s SEO efforts. More importantly though, guest blogging benefits YOUR business because it provides a FREE and Google-approved way to achieve quality, diversified backlinks to your own site from a variety of authoritative sources all over the web. What is Guest Blogging? It is a Unique and Effective Strategy for Getting Increased, Quality Traffic to Your Site. Build Quality Backlinks – Choose sites with high page rank (PR1 or PR2) that already have a significant amount of traffic. Blog for sites that allow you two anchor text links per article so that you can point one to your homepage and one to your inner page with the targeted keyword. Everyone wants quality backlinks, but you have to go about developing them in an organic way that Google won’t penalize…quality guest blogs are the way to do it! Target Longtail Keywords – you’ll find this to be a more effective strategy in the long run as you will be able to repeat this process over and over and get your site ranked for dozens of great, low-competition keywords that relate directly to your business. If you were to go through the guest blogging process trying to target a general, competitive term like “weight loss,” you’d probably be at it for years with no results. It is really just a matter of using your time wisely. Build Authority Online – Google likes to see diversification when it comes to link juice. Having a variety of well-ranked sites all pointing to you can only mean one thing…your site deserves to be well-ranked also. 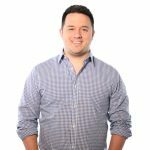 When you affiliate yourself with already trusted sites and create multiple sources of links from those sites, you’re proving your own site’s worth. It would be well-worth your time to do some research and make a list of authoritative sites in your industry that allow guest blogging. Begin to develop a relationship with those bloggers (interact with their content, share and link to their posts, reach out to the page manager, etc.) Eventually, you’ll want to incorporate these into your guest blogging strategy. However, to start off, you can simply begin posting to sites that are always looking for new content. Sites like InfoBarrel and Squidoo are great for getting articles up quickly and easily. While you’re at it, check out Xomba and Hubpages as well!